Edible treats to make any occasion special! Every bite is such a lovely delight! At Strawberry 23®, our focus is on flavor explosion. From the biggest strawberries to the juiciest apples, once you try us, you will be hooked!!!! Each of our items are made to order, so they're always fresh just for you. Creating something truly luxurious, indulgent and uniquely pleasurable is both an art and a craft. An art because it takes vision, imagination and genuine originality. A craft because it demands exceptional skill, a desire for perfection, and meticulous attention to detail. Strawberry 23®, along with an amazing group of talented individuals, was featured in the May, 2018 issue of Essence Magazine. "Bridal Bliss: One Look at Rawle and Crystal's Stunning Dallas Wedding". My amazing strawberries and apples are carefully chosen for size and freshness. Once I put my candy artisan skills to work, the strawberries and apples are double-dipped in caramel and/or chocolate. 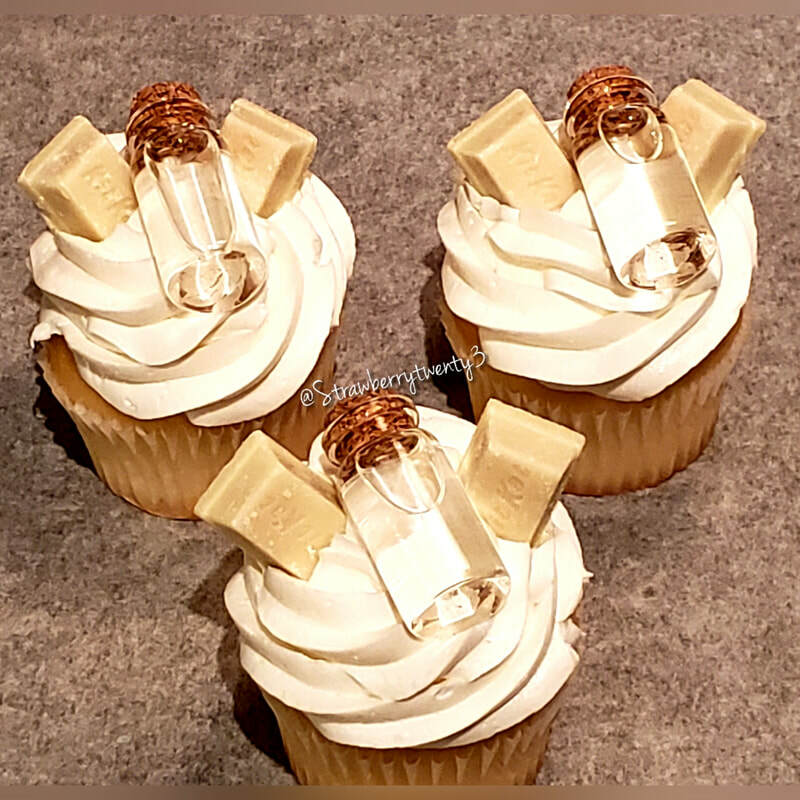 As if that isn't enough, the finishing touches are added as the final step, when I decorate them in a variety of delicious toppings, such as Butterfinger candy bar pieces, walnut or pecan pieces and/or Oreo cookie crumbles. The finished product is not just a strawberry or apple, but an edible work of art! My Rice Krispy Treats are dipped in chocolate and an image can be added to give that extra "pop" for your occasion. Wedding favors. Birthday parties. Just because treats. No matter the reason, Strawberry 23® is committed to making your experience with us unique and wonderful. Just a girl who loves to make people smile. With a concentration on attention to detail, passionate cooking and uncompromising standards, my focus on bringing gourmet treats and attentive service to my customers in the most unpretentious and upbeat atmosphere possible. With such grass roots, staying connected to the community is paramount to me. I'm just a girl that likes to make people smile. Food bridges the gap, it brings people together. I have a passion for what I do, a love for my customers. I don't cut corners; I buy the best of the best. Everything is made in-house, from scratch, just like your grandmother would make it. Everything is fresh and competitively priced. I'm cooking and baking around the clock. I still use my mom's recipes; the same ones from 40 years ago. Located in the city of Dallas, TX, a southern girl at heart.